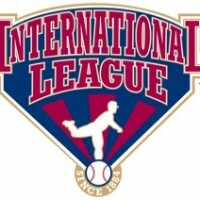 The threat of Hurricane Florence has forced a relocation of International League Governors’ Cup Final contests, as games 3-5 will shift from Durham to Scranton/Wilkes Barre’s PNC Field. Durham Bulls Athletic Park was to have hosted games three, four, and five of the series, but the entirety of the Governors’ Cup Final will now be played at PNC Field, home of the Scranton Wilkes/Barre RailRiders. The Bulls and RailRiders were slated to play the first two contests in Pennsylvania Tuesday and Wednesday, before the series shifted to North Carolina on Thursday as part of the predetermined International League playoff schedule. The Governors’ Cup Final is a best-of-five series, and the Bulls will still serve as the home team for Games 3 through 5. Fans who purchased tickets to Games 3, 4 or 5 in Durham have the opportunity to exchange those tickets for a game in Scranton by contacting the RailRiders directly at 570-969-2255, or at the PNC Field box office. Fans who purchased individual tickets can be refunded their purchase after the conclusion of the Governors’ Cup Finals, and fans who purchased the playoff package will have their credit applied to a 2019 membership plan. All questions should be directed to the Durham Bulls ticket department at 919.956.BULL ext. 3. Games 1 through 4 at PNC Field will begin at 6:35 p.m., and Game 5 (if necessary) is tentatively scheduled to begin at 4:05 p.m. All games will be streamed live on MiLB.tv, and fans can hear the broadcast through DurhamBulls.com or on their radio dials at 96.5 FM in Durham and 99.3 FM in Raleigh. This is not the only Minor League Baseball championship series to be affected by Hurricane Florence as it approaches the east coast. The High-A Carolina League altered the Mills Cup championship from a five-game run to a winner-take-all match Tuesday night in Buies Creek, NC. The Buies Creek Astros captured the cup by defeating the Potomac Nationals 2-1 in 11 innings.